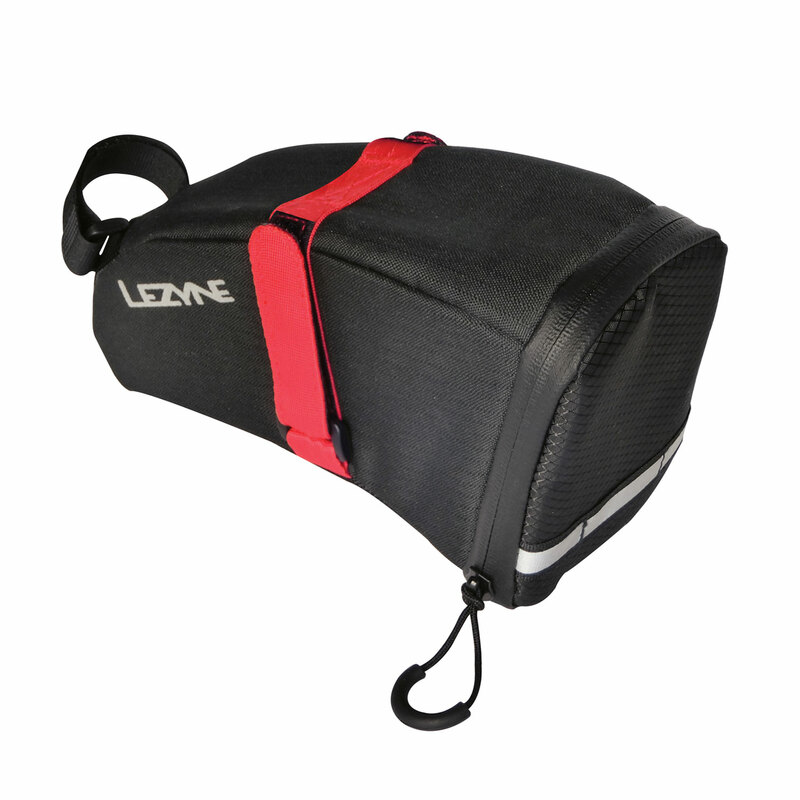 A semi-large saddle bag with an insert to keep your essentials organized. 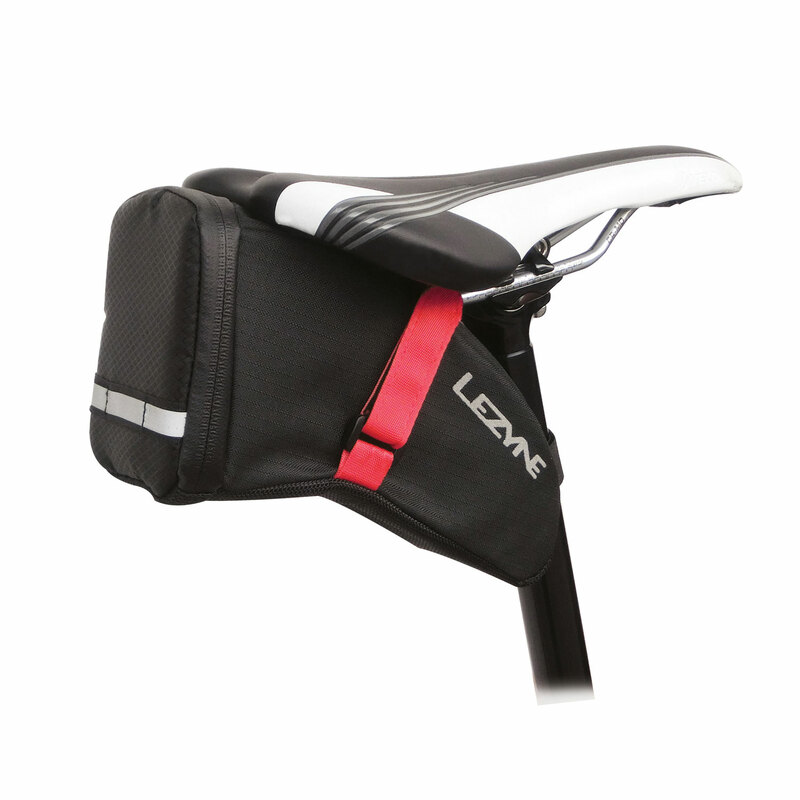 Semi-large saddle bag that tucks neatly behind the saddle. Insert and internal mesh pocket keeps contents organized. Built-in key hook. Reflective logos and loop increases night visibility. Water resistant.